How do you dip yer wick? / How do you dip yer wick? 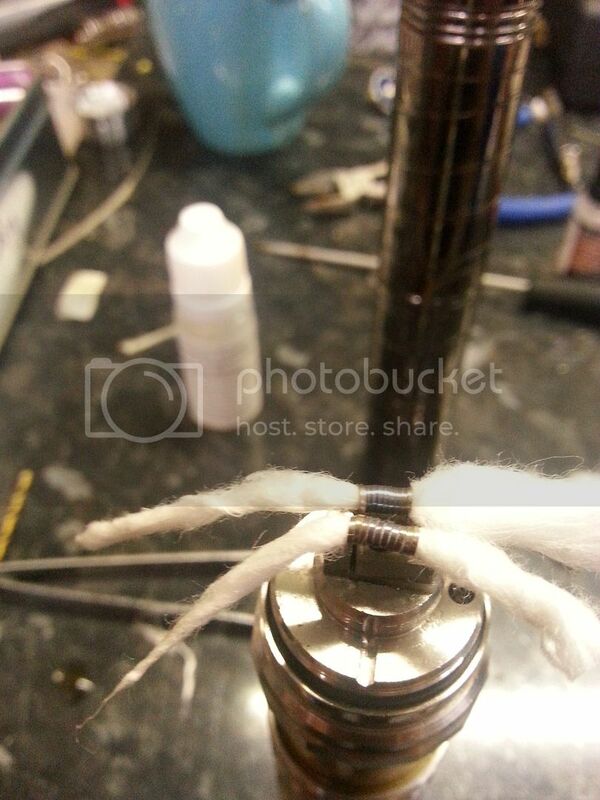 RE: How do you dip yer wick? That Is A Sweet tri-chimney, Graham! Shame it wasn't worth the time it took making it. 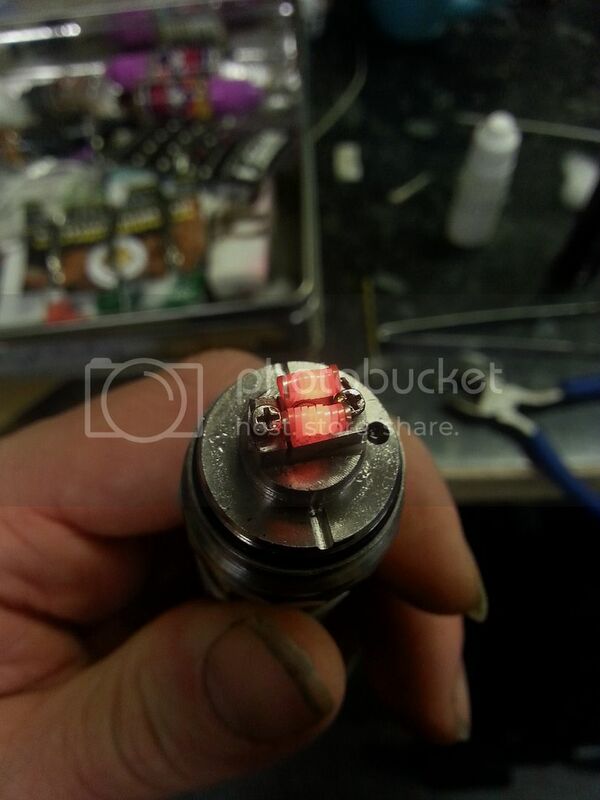 All the crazy stuff out there and some of my favorite setups are single coils. I got somewhere between 20 and 40 metres of the stuff so won't run out any time soon. Want some? I can easily bung it in an envelope to you. Could do, I could twist you a length up and get it back to you as well if you wish? Dug out another drill and gave it a better twisting. I found a little vice held the wire nicely while the drill did its thing. I'll bung a few metres of 2.5 in an envelope on Monday. Cool. 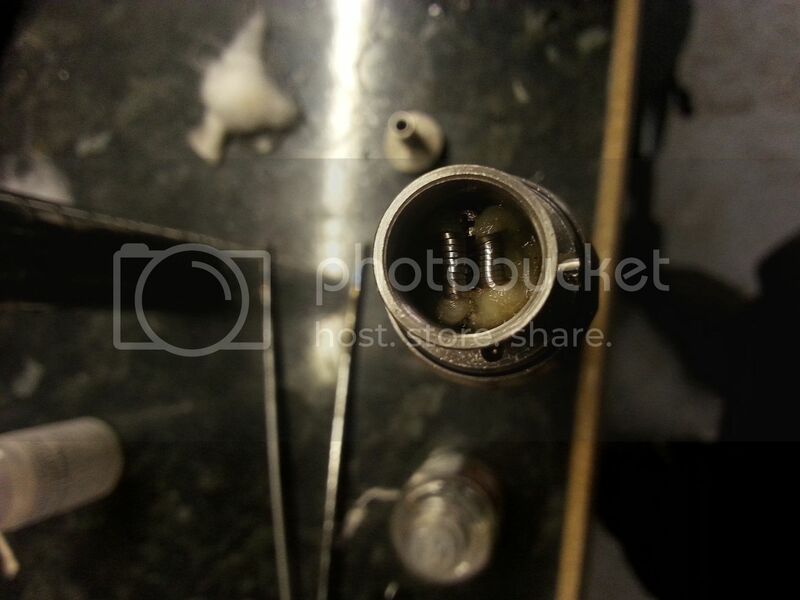 2.5 sounds fun, twenty billion wraps to get up to 1ohm? Another kayfun build. 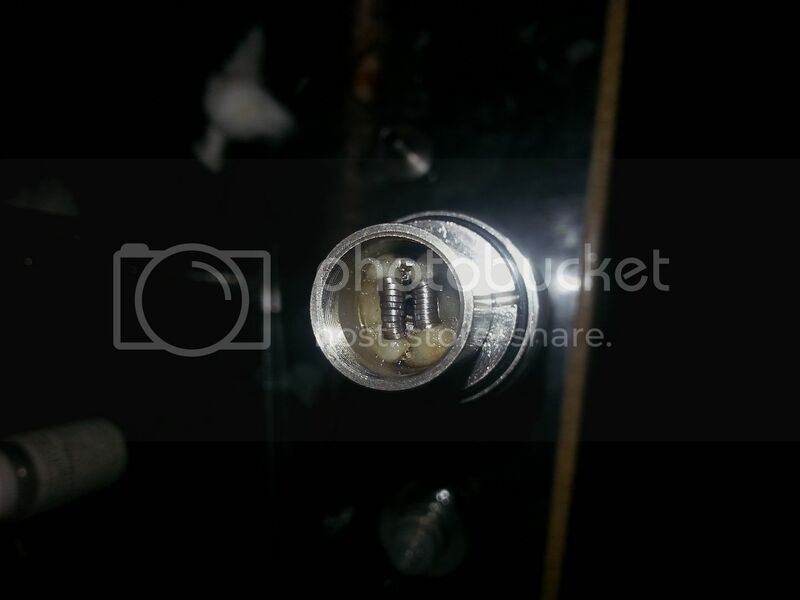 1ohm dual .5mm ribbon micro coils. Snugged in with bottom part of chimney fitted. Slightly clearer shot, I probably could have got away with a touch less cotton as airflow is slighty restricted compared to the tri chimney build. It is however a much more pleasant vape, an all day set up if you will. I've sat it back on the roller, I now have a fairly compact carry about device with good capacity both tank and cell wise in 18650 mode (2900mah/4.5ml) or extremely compact in 18350 mode. What I would like to do is fit a kick 2 for use in 18350 mode. Those puny cells taper off far too fast for my liking.